As you guys know, I have been slowly trying to add more recipes to my blog, specifically recipes that are "Macro Friendly" since my husband and I have been following the IIFYM diet for about a year now. We are always looking to spice things up because I think the main reason people fail when dieting or trying to eat healthier is because they don't like what they are eating. We LOVE food & being healthy so we definitely didn't want to fall into that trap. 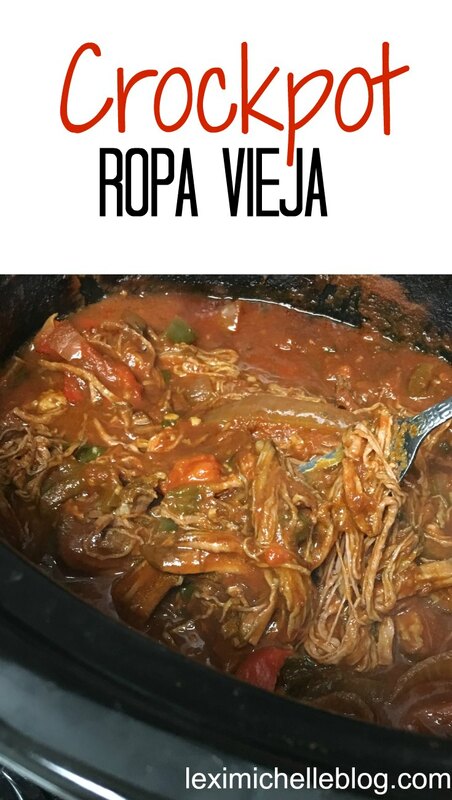 Ropa Vieja is a Cuban dish that is super easy and sooo delicous. The best part is that it's a crockpot meal, which makes it even easier. It's typically served with some white rice, black beans, and fried plantains. We were in a nacho mood so we put ours on top of some homemade tortilla chips, cheese, and black beans. Soooo good! Rub both sides of steak with half of the cumin (1 1/2 tbs) and a dash of salt. In a large skillet, heat 1 tbs olive oil over medium-high heat and then sear steak until browned on both sides. Chop bell pepper, onion, & cilantro. 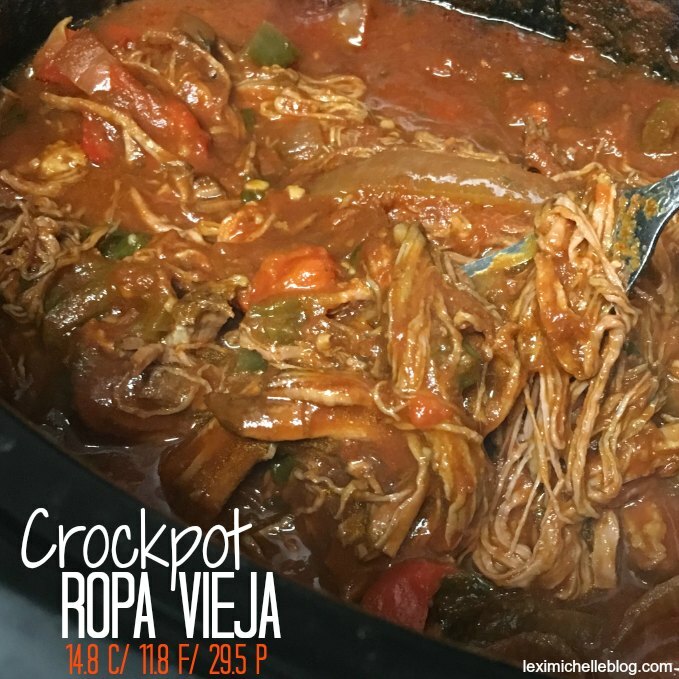 Add all remaining ingredients to crock pot and cook on low for about 5 1/2 hours or until meat shreds easily with a fork. Once finished cooking, use 2 forks to quickly shred meat (still in crock pot) and then let sit for about 15 minutes before serving. **this will cook fairly quickly in crock pot because the meat is typically pretty thin & has already been seared on both sides.